The Winnipeg author talks about his historical novel, The Water Beetles, which is nominated for the 2018 Amazon.ca First Novel Award. 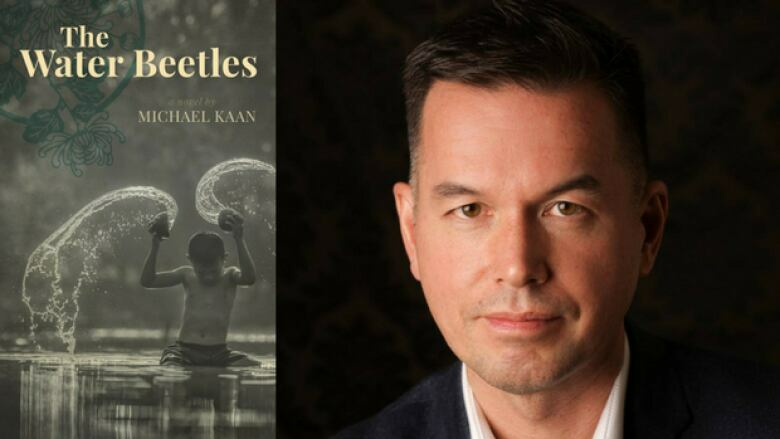 Micahel Kaan's The Water Beetles is on the shortlist for the 2018 Amazon.ca First Novel Award. In 2017, it was nominated for the Governor General's Literary Award for fiction. It begins with the Japanese invasion of Hong Kong and follows a young boy who flees his family home, only to be captured by Japanese soldiers. The story is loosely based on Michael's father's diaries. "One day, my mother gave me a plastic bag with my dad's memoirs in it. It was a story that I kind of knew when I was younger, but I didn't know the details. His memoirs were full of such incredible stories that I knew I had to write it up as a novel. In The Water Beetles, Chung-Man, the main character, is forced to separate from his family because his mother decides that he should. He and some other children leave Hong Kong and go into the countryside. It is very difficult for them because they're away from their mother and Chung-Man's father died a long time ago. It begins his long process of surviving and feeling divided. He feels permanent damage, but knows he has to move on." "I started out doing a lot of research — then I dropped it all. One thing I realized by reading other stories from people in this kind of environment is that we, looking back, know all the historical detail. But when you are in an older time without much media, you have no idea what is going on day to day; you simply know that your world has been turned upside down. So I stopped doing research and simply wrote the story from the perspective of people in that situation to try to recreate that sense of feeling trapped and living moment by moment." Micahel Kaan's comments have been edited and condensed.